Alan Jones joined our Newport Office in August 2017. 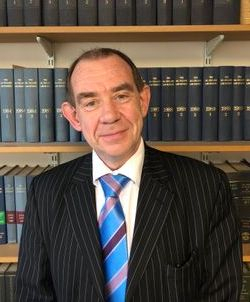 He entered law late in life after graduating Huddersfield University with honours and attaining the Legal Practice Accreditation for Solicitors at the Liverpool John Moore's University. Before qualifying as a Solicitor, Alan had a successful career as an engineer. Alan is now an accredited Criminal Duty Solicitor for Magistrates Court and Police Station Attendances. Alan is experienced in all aspects of Criminal Law especially offences against the person, both fatal and non-fatal, sexual offences and drug related offences. He is skilled in drafting legal applications and is a tenacious advocate in the Magistrates Court. Alan is a strong believer in ones right to civil liberties and fairness to all, especially advocating on behalf of those who are oppressed by those in authority and have no channel to mount an objection to that oppression. In his spare time Alan enjoys angling, gardening, DIY and is a loyal Manchester City Football Club supporter.